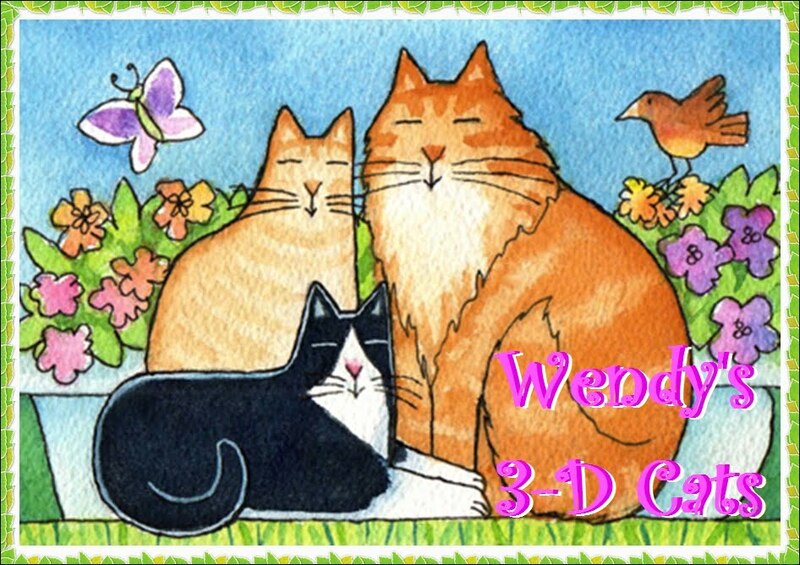 Wendy's 3-D Cats: TUXY TUESDAY WITH DOMINO: FEISTY, FEARLESS AND FABULOUS! TUXY TUESDAY WITH DOMINO: FEISTY, FEARLESS AND FABULOUS! Today is Domino's show, but first we have to clear up the mystery from yesterday. What did Dante find? Mumble, mumble, mumble -- crunch! I think he said "Sorry, can't talk with my mouse full!" And now, onto the fearsome Domino! These first three shots are of a recent encounter with our neighbour's dog, Riley, who is a miniature poodle. "Who is dis blockin' mai paff? ", asks Domino. ... as she breezes right by him on her way to get pats from Riley's mama. "Woofies are so feebull", she says. "I prefurs hoomans!" And with that, Domino presents her backside to Riley, without a care. And speaking of her backside, this is what she has been presenting to me, of late. It was a beautiful, sunny fall day which Domino was thoroughly enjoying. The sun cast incredible shadows which my lens happily captured. But no matter how hard I begged for Domino to turn around and give me a shot of her pretty face, she'd have none of it. Domino's attentions were on more important matters. Something interesting decaying amongst the leaves and grass, perhaps? Once again I get a back end view. When Domino isn't on a modelling shoot, she doesn't feel the need to pose -- so I take what I can get. With a final farewell for today, Domino deigns to turn her head slightly to acknowledge her audience (that would be me, and by consequence of the camera, all of you)! Domino is brave indeed not to be bothered by the woofie! Oh my! Dante caught and ate a mousie! That is amazing! He is the king after all! You are very smart not to let that woofie bother you. Dante, a mouse! At least you ate it, unlike us -- we just toy with mice and moles, the rare times we find them. That's why the mom gets so upset and tries to rescue them. Domino, maybe you smelled leftover mouse carcass? Hahaha. BTW, we're impressed how unconcerned you were being so close to Riley! Dante, you are a HERO! Was that mouse super tasty? Domino, we like your style. You are a Cat who does *just* exactly what she wants. Including snubbing woofies! Wendy, to clarify: Nicki had 8 teeth removed last November, before we joined the CB. He had two deep pockets of infection as well, and needed a month of antibiotics. Annie had 3 teeth removed in February, and Derry had his 9 teeth removed in June. Not a good 7 months in terms of vet bills! LOL! Good job Domino avoiding that camera. We took notes on that one. And good job just going past that woofie. You are a brave kitty. Take care and have a good evening. I make it even more frustrating for my human by facing the camera, but looking over my shoulder. That really makes her mad! Dommy, yoo look awesome from any angle! Diva Domino--you rock! 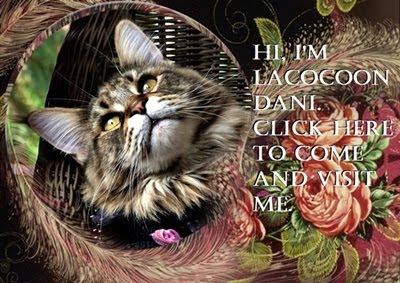 Dante, you got a MOUSE?! Was it good? Domino you sure has cattitude. has you seen that video of the kitteh stickin up to the alligator?! i thinks you is just as brave. Domino, you have a pretty front side and a pretty back side! And your patio bricks look perfect for rolling around on, too! Tuxies are so pretty in the sunshine- it lights up your furs so pretty! That black fur keeps you warm in the cooler temps too... I like that you stand up for yourself Domino. Happy Thanksgiving to yoo all. We hope the year ahead is healthy, wealthy and very happy. FASHION FRIDAY WITH DOMINO: POSED-HER CAT! WORDLESS WEDNESDAY WITH DYLAN: "SAY AH!"